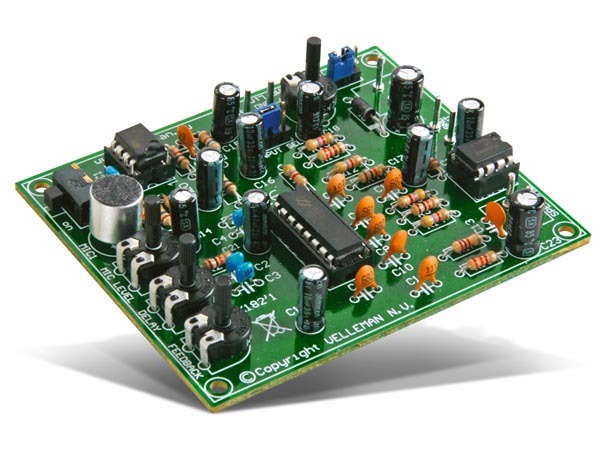 A compact mini kit which allows you to create delay effects. Can be used with various audio systems, karaoke, P.A. toys, or just for fun. Can be used with its built-in microphone or connected to a conventional sound system via line level signal.